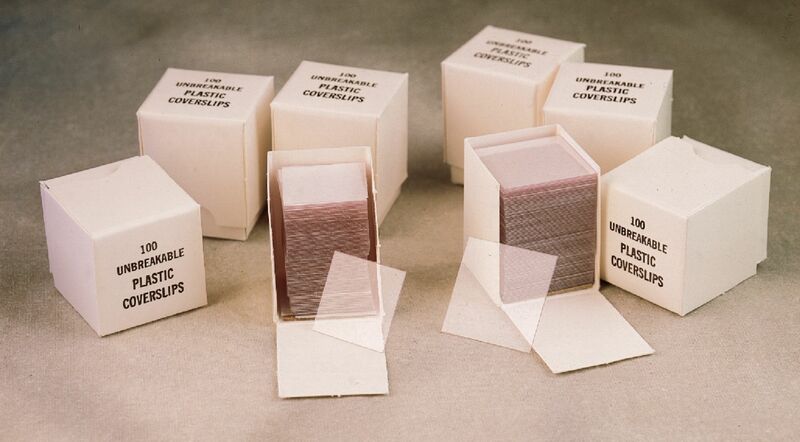 Efficient, disposable slides are manufactured from optically clear vinyl. Slides will not break, scratch, or cut fingers. Ideal for wet mounts. Order by the each (100 cover slips), or by the pack (10 packs of 100 cover slips).